I’m taking a chance on this one, because I haven’t read it since high school. It’s really science fiction rather than fantasy, but I’m including it in the hope of bringing it to someone’s attention. Used copies sell for $90 and up, which is why I don’t have one. 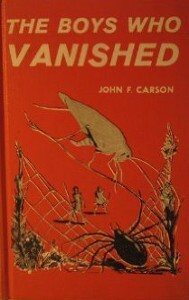 To explain the plot, that can most easily be done by suggesting that whoever wrote the script for the movie, Honey, I Shrank the Kids, surely read this book, and consciously or unconsciously utilized it to the point that if John Carson has any heirs, they have plenty of cause for litigation. That movie is this book, except the book isn’t done from a humorous angle. This is one of the most delightful books on the planet. Ostensibly written for children, it’s more fun for adults. A story of two wizards, Prospero and Roger Bacon (and not the ones you’re thinking of), and their quest to find the evil that is destroying the world. 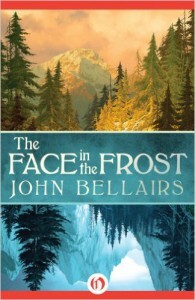 It’s scary and funny, and I only wish Bellairs had written a couple more such books. The rest of his work, while ingenious, can’t compare to this one. 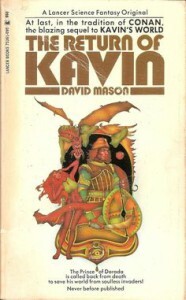 David Mason only wrote five novels before being killed in a boating accident. It’s a shame, because I think he could have become a great writer. All his books are good, but these two are my favorites. 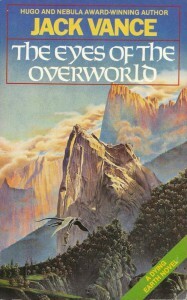 At first glance, they appear to be typical Sword and Sorcery, but despite the lurid cover of Kavin’s World with its claims of comparisons to Conan and Tolkien, in some ways the books remind me of Roger Zelazny’s Amber series. We have the Heroic Swordsman, and wizards and magic, but Kavin battles a creature beyond time and space, in a land where many worlds and technologies meet. These deserve a wider audience. 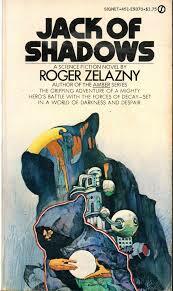 You’ll notice that I list only the first five books in Zelazny’s Amber series. You may want to read them all, but I recently re-read the entire series, and–as I did the first time–found his later books disappointing. Amber is the true world from which all other realities spring. The farther one moves from Amber, the stranger the worlds become. Our hero, Corwin, is part of a royal family—the books are full of intrigue, wars, and world-walking, and are a unique blend of mystery and fantasy. In Jack of Shadows, immortality is once again a theme. The world has stopped spinning on its axis, leaving half in eternal sunlight and half in darkness. Science rules the day side, magic, the night side. Jack, a creature of the darkness, is one of those who, if he is killed, always makes his way back into the world. When his enemies slay him with the intention of insuring that he cannot return to life, he thwarts them and plans an intricate revenge. Revenge plots are difficult to carry, but this one works. A dark, but entertaining tale. 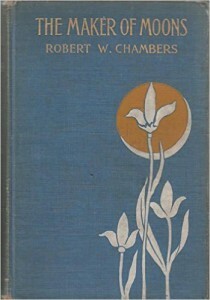 Robert Chambers was an enormously popular writer in his day (1865—1933). 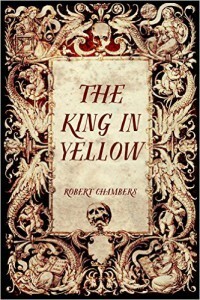 The King in Yellow was one of his early works—a book of fantasy short stories connected by the theme of a fictitious drama that drives anyone who reads it insane. Just when you think you have an idea of the type of stories in the volume, Chambers throws a curve. Fantasy, horror, romance—this is a truly unique book. The Maker of Moons, while not quite as original, continues the style of writing found in King. I understand that there is a third volume of tales which I haven’t read. Chambers might have made his mark as a master of fantasy fiction, but he began writing first romance, then historic novels, which apparently made him quite wealthy. But at least we have these two books. Many of you, having read Fahrenheit 451, may have dismissed Bradbury as nothing more than a writer you had to read in school. Or perhaps, like me, you were fascinated by his short stories in your teenage years, and have long-since relegated them to that time when every idea was new and fascinating. Bradbury was an early idol of mine, so much so that I was scarcely able to attempt short stories, lest they fall short of the Master. Still, I thought my days of reading him were over—his newer work generally doesn’t appeal to me. So when I listened to Body Electric on audio from the public library, I was truly amazed at his literary quality. Every good thing ever said about Ray Bradbury is true—he is a writer with a unique voice. Dandelion Wine, which I am not including here because it really isn’t a fantasy, should have won the Pulitzer prize. It probably wasn’t considered when it came out, because science fiction writers weren’t considered ‘real’ writers back in that day. Fortunately, the committee recently awarded Bradbury a long-deserved special Pulitzer. 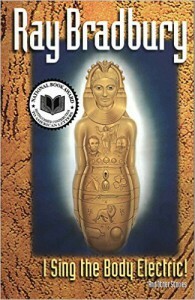 Though I list Body Electric, any of Bradbury’s early short stories are recommended. 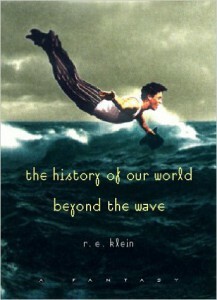 I’ve just finished re-reading this book after many years, and it’s even better than I remember. 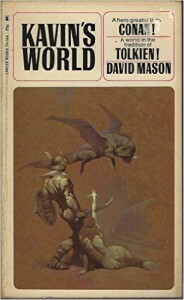 Most fantasy readers may have missed this one, because it never came out in paperback. That’s a shame. The good news is that it can be found used for a couple of dollars. 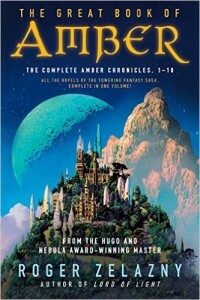 I’m a sucker for stories such as A Voyage to Arcturus or Phantastes, where a character travels through a world of wonder. In this case, the earth has been inundated by water, and our hero meets strange and unique characters while struggling to survive in a world of gigantic whirlpools, volcanic fissures, and monsters living in Nature gone wild. It’s a unique book, well-worth the journey. You will never look at yellow Volkswagen in the same way again. Merritt was a newspaper editor, who wrote 15 novels in his lifetime. 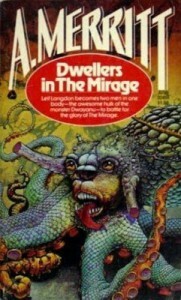 Although they tend to be lumped together as part of the “Lost Race” stories popularized by Edgar Rice Burroughs and Rider Haggard, Merritt had a lot of variety in his writing. The fantasy most often mentioned by fans is The Ship of Ishtar, but I was rather disappointed by it. There is something in the feel of Dwellers, of a group who discovers a lost country, and of a hero struggling with two identities, that makes this a memorable book. 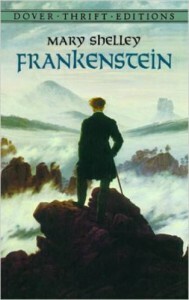 So you think you know Frankenstein? Filled with childhood memories of a black and white idiot with a bolt through his head? (Would that work?) I avoided this book for years. Probably because I couldn’t find anything else to listen to, I checked out the audio one day from the local library and discovered a masterpiece. The writing is exquisite; the story is unexpectedly different. Shelly’s viewpoint is marvelous. That Hollywood took a book of this caliber and turned it into chowder is reprehensible. Read a couple chapters and see if I’m right. Few writers spend their entire lives writing a work with no intention of having it published. 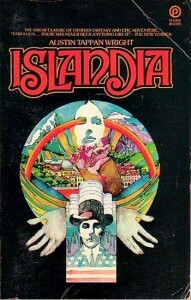 Islandia was Wright’s hobby; his daughter submitted it for publication after his death. Set in modern times, the land of Islandia is an isolationist country, and the story tells of the travels of an American ambassador there. This book has to be read in the spirit in which it was written, as if one were a sojourner, quietly taking in the land. There is certainly a plot, and you will care about the characters, but this isn’t an action-packed tour de force. Come be a tourist in Islandia, and enjoy the stroll. John Brunner was an excellent science fiction writer. 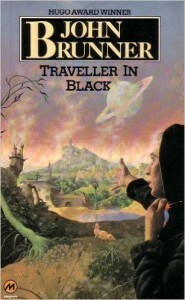 Here he turns to fantasy, where the Traveler in Black must journey through a chaotic universe, restoring order to it. These are short stories collected in novel form. One of the Inklings surrounding C. S. Lewis and Tolkien, Charles Williams wrote half a dozen novels revolving around the supernatural aspects of Christianity. His books tend to be obscure at times—something in his phrasing isn’t always clear. This is his best novel. Archetypes begin appearing on earth, creatures beyond anything with which mortals can cope. This is a prime example of what I mean by fantasies which are unique works. 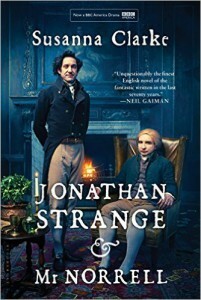 Ms. Clarke has created a world very much her own, in this story of two magicians attempting to bring magic back to England. It took her years to write this. I understand why. Most excellent. Published in 1931, this book is an overlooked gem. Rumor has it that it was originally supposed to be reprinted as part of the Ballantine Adult Fantasy Series, but the series closed before that could happen. 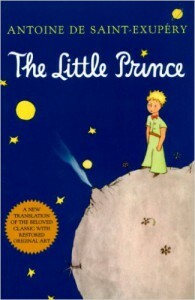 The story is a simple one: as David grows up, he dwells more and more in a world of fantasy. Will he escape it and learn to live in the real world? A good question for more than one reader. I found this at a library sale. 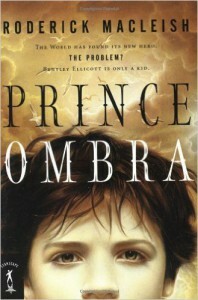 Prince Ombra, the villain of the title, appears at every age to battle the Chosen Hero. If he wins, the world is plunged into war and chaos; if he loses a time of relative peace prevails. Not since Sauron have I encountered a villain so shadowy, and in this case, so invincible. He has a thousand names: Goliath the Philistine, Mordred, and others. Pitted against him is nine-year old Bentley Ellicott. The world depends upon the outcome. 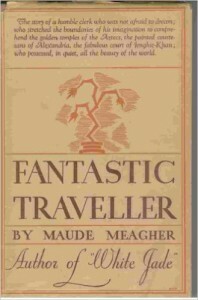 The book was published in 1982; a rare gem. I’ve had several people write me suggesting this book, and I’m actually giving in to peer pressure to list it. I’ve read it twice, once in college and again a couple years ago–and the truth is that it just doesn’t move me. 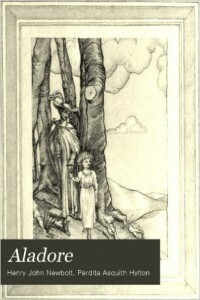 It has everything a good fantasy should: a unique future earth with strange wizards and animals, a unique world-view. Vance is an excellent, stylistic writer. I should like this book; I just don’t care for it, but you might. Perhaps it’s because the characters are neither good nor evil, just vaguely amoral. First published in 1914, Aladore reads like something William Morris might have written if he had been interested in allegorical fantasy. When a restless Sir Ywain leaves his kingdom and wanders across his medieval world, his travels take unexpected and interesting turns. 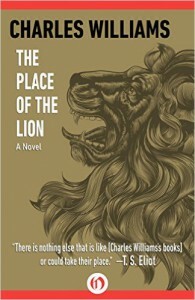 A poet, Newbolt utilized a lyrical, archaic style that makes for an enjoyable read. An ebook edition is now available–not sure of the quality–and used print editions published by Newcastle can be easily found online.